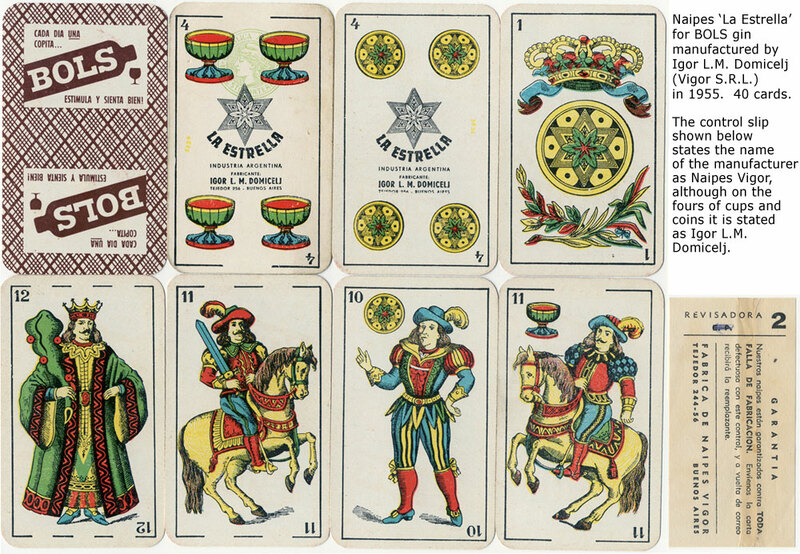 Naipes La Estrella was one of Vigor's leading brand of Spanish-suited playing cards, alongside Naipes Barcelonesa, Chinita and La Española. 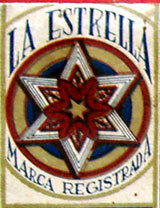 The logo on the four of cups and wrapper shows a six-pointed star above the legend 'La Estrella'. 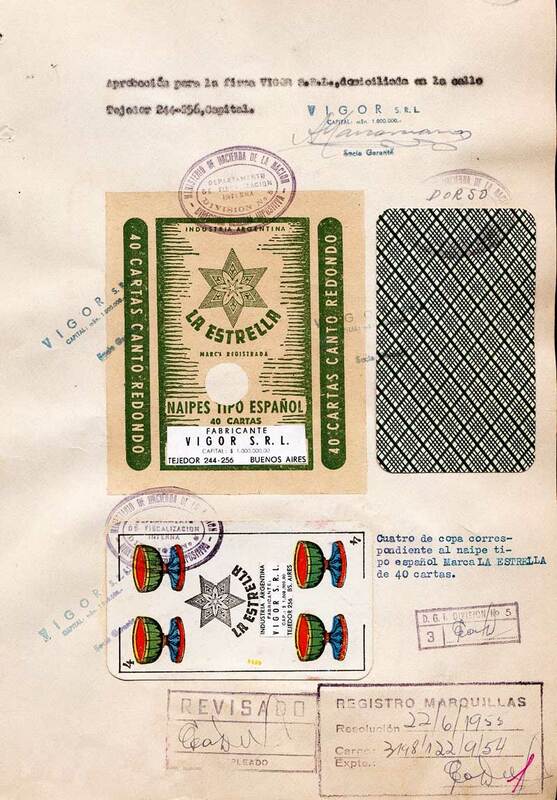 This six-pointed star motif and the name ‘La Estrella’ was originally registered by G. Berger for a Hungarian 'Seasons' deck. 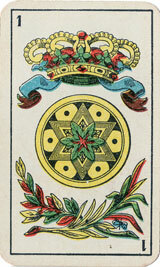 The motif now features on the centre of the ace of coins. The Patent Office Registration documents, dated 22nd June 1955, show the original designs with the new company name overwritten. By holding these up to the light, we can read beneath the name of Igor Domicelj (c.1950-55), who was the company's predecessor. 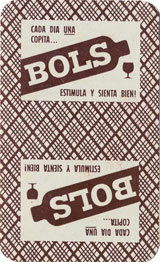 The same applies to the Registration documents for "Naipes Bols", which was the company's first advertising deck produced in 1955, and "Naipes Golfo", a 48-card pack for the game Golfo; both formerly had been produced by Igor Domicelj. 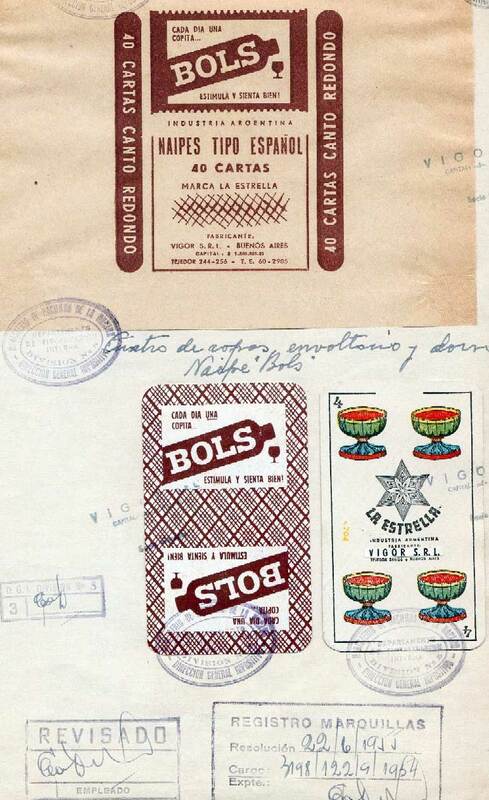 The card designs are based on those of Segundo de Olea (Spain) which had been imported into Argentina since the 19th century. 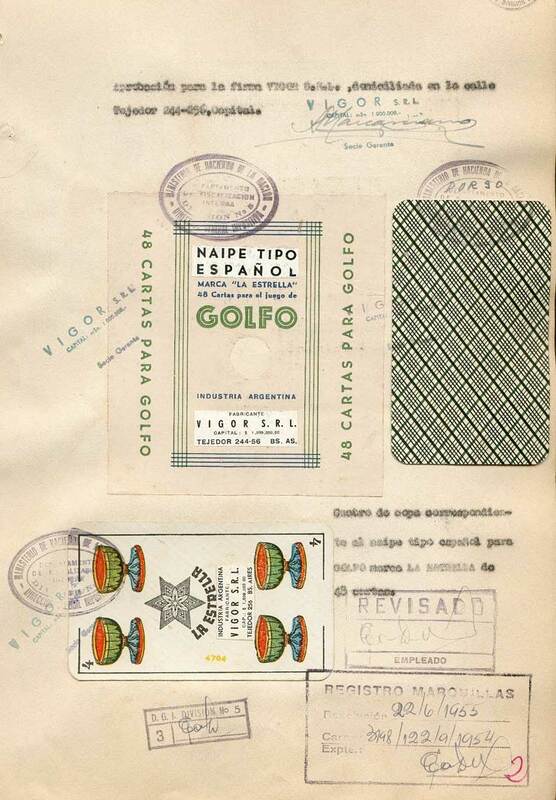 The same designs are used in cards published today by Gráfica 2001 / Naipes La Española, including the six-pointed motof originally employed by G. Berger.